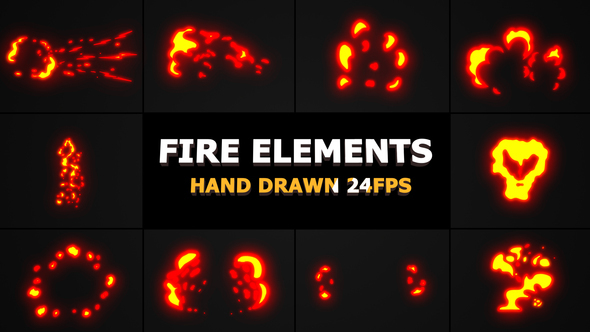 The Fire Elements are hot and dynamic After Effects template featuring a fantastic collection of cartoon hand drawn fire effects. A scorching way to enhance your teasers, games, action sport videos, TV shows, cartoons, commercials, and much more! Combine elements and create unique titles and logo reveals. Impress your audience with these trailblazing and energetically animated elements. Sound FX included. Check out our portfolio for more elements.